Arguably one of the most well-known dishes out of Latin America and it’s Peru’s national dish, ceviche is getting its own holiday on June 28 with National Ceviche Day! Buy the best fish you can find. Tim’s favorites include tuna, hamachi, salmon and mackerel. Add some spice! 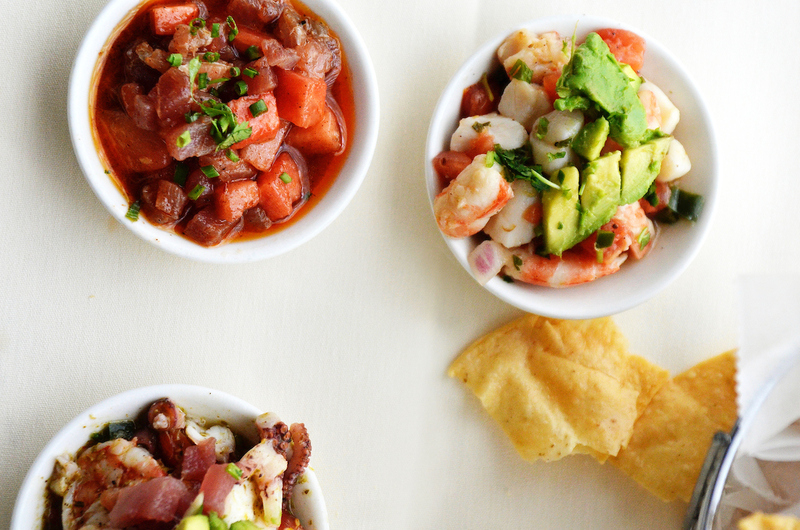 All ceviche contains some kind of chile, anything from fresh serrano to dried aji amarillo. Add something from the lily family such as red or white onions and chives. Pick your acid. A classic go-to is a little lemon and lime juice with a touch of orange — but don’t stop there! Tim loves yuzu, key lime or even Buddha’s hand zest to give it a unique kick. Salt it! This is a must. Option to add in pepper or other spices. Finish it off with fresh herbs like cilantro, nuts or seeds for texture or fold fresh fruit in. Don’t forget to make a reservation at Nacional 27. Don’t forget it’s patio season! Take a look at all of our outdoor seats. The New Nacional 27: New Chef, New Menu, New Look!